Are you looking for a fast paced job that allows you to work outdoors and deliver a service that helps families and businesses in your home town? Hofmann Landscaping and Lawn Care is always on the lookout for great people who value our company’s commitment to deliver professional service above and beyond the call of duty. Let’s go over some of the qualities we look for and see if this is an opportunity for you! If you have ever done any maintenance in your own yard you know that it is real work. It is physical, hot and subject to the weather. That’s why we love working with people who like the outdoors and can handle a long day of mowing, paving, trimming and anything else the job requires. Our business works in seasons and when we are busy we have to know that you are going to show up ready to work. Some of the things you will need is solid transportation and the flexibility to work over if needed. If you can show up and stay the whole time that’s great! We also need great people who can learn quickly and do the job right. There is a lot that goes into this business and everyone has their part to make sure we deliver. We have to know that you can take the job we give you and do it right. All of our customers know we are committed to friendly and professional service. On top of that no one wants to spend all day working with an unfriendly person. That’s why we love to work with smiling faces. Whether or not you interact with our clients they will be watching everyone in our crew do their work. This means that we want them to see smiling faces from the whole team. If this sounds like an opportunity that you would enjoy, and you feel that you meet these standards then we want to talk with you. 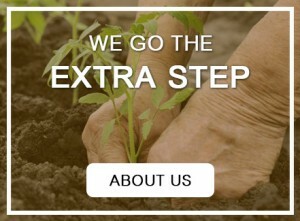 Contact us and let us know that you are ready to work hard outdoors and exceed our customers’ expectations.